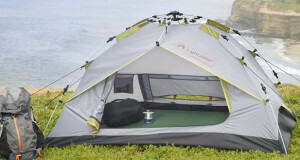 Summary : The Sandy Sleeper is a versatile shelter and tent meant to be used in mild conditions. 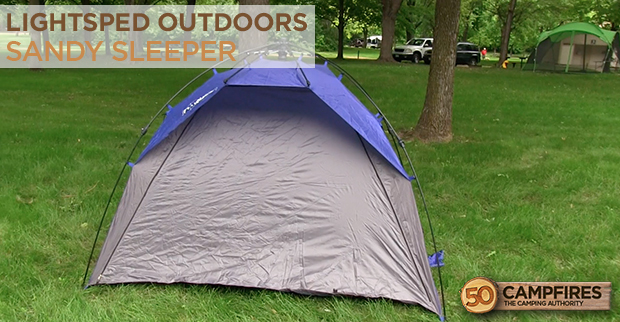 We had the chance to use the versatile LightSpeed Outdoors Sandy Sleeper and were highly impressed. 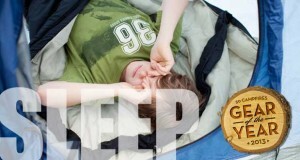 With most shelters, you are either getting a tent for sleeping or a sun shelter for hanging out in during the day. But the LightSpeed Sandy Sleeper is both. We think that’s awesome. 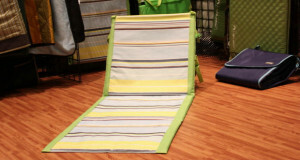 Appearance:The Sandy Sleeper has a sleek appearance with a few different color patterns to choose from. Don’t let the small frame scare you, it offers quite a bit of room on the inside. 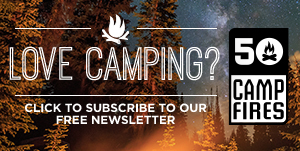 The sleeper can easily fit 2 sleeping pads and your gear in it. 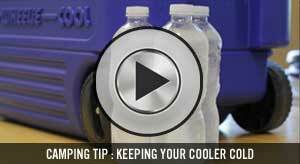 If you are using it as a shelter, 2 lower to the ground lawn chairs would fit in. 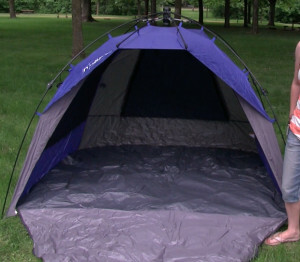 If you want to use it as a tent just zip the front all the way up. 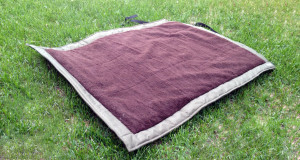 Or use it as a shelter by zipping the entire front down and either leaving it laid out or rolling it up. The feature that will always come in handy is the overhang above the door/opening. It gives you a little extra shade and helps get rain away from the front of the tent. 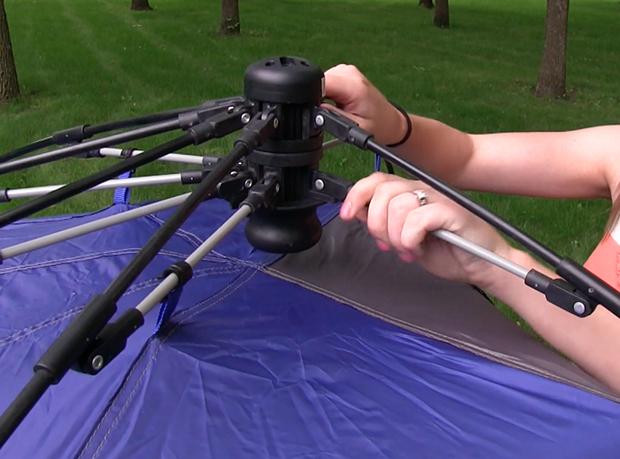 Ease Of Use:Setting up a LightSpeed Outdoors tent or shelter really can’t get any easier. They use the compression hub system that allows the Sandy Sleeper to be set up in a matter of seconds. All you have you have to know to set this sucker up is to push up on the hub and pull the string out with your other hand. The Sandy Sleeper will pop right up. Taking it down is just as easy. If you are still a little unsure, there are directions sewn into the bag that are well written and easy to follow. That bring us to another favorite feature – the case is big enough! You don’t have to worry about trying to fold it up EXACTLY how it came packaged, which is always annoying. Durability:We have set the Sandy Sleeper up and taken it down many times now, using it multiple weekends in a row and have never had an issue. The hub system is sturdy along with the poles. The one thing we would caution against is using it in really rainy conditions, it isn’t an ideal tent or shelter for all day rain. But it does fine in small amounts of rain and we’ve been happy with that. Weight:The LightSpeed Outdoors Sandy Sleeper comes in at right around 7lbs. 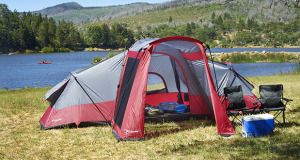 That is a very reasonable weight for both a sun shelter and 2 person tent. It won’t be hard to haul around as it comes with a nice carry bag. 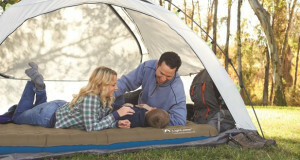 Value:For right around $100 the LightSpeed Sandy Sleeper is all yours. 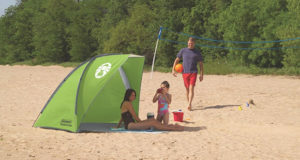 We think it is a great value considering you will have a nice 2 person tent and a sun shelter for those trips to the beach or lake.